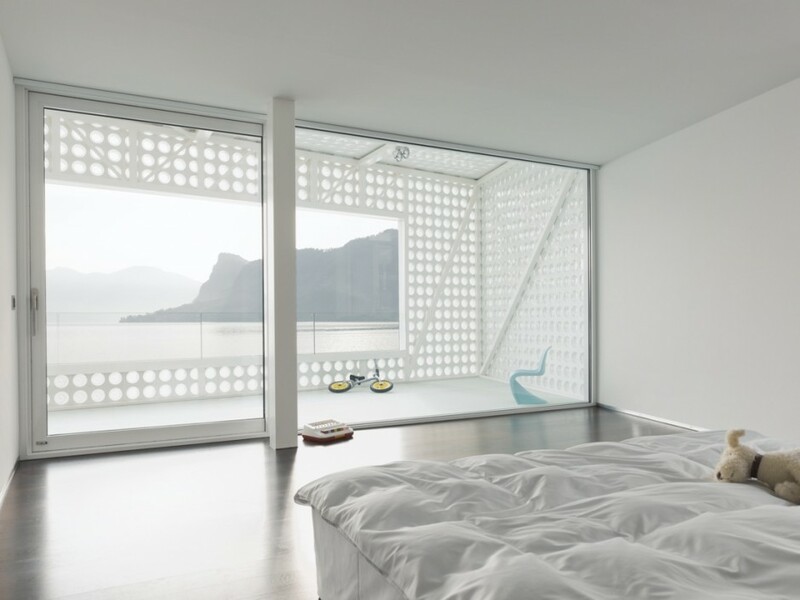 Architects Philippe Stuebi and Eberhard Tröger have designed a cool O House located in Switzerland. 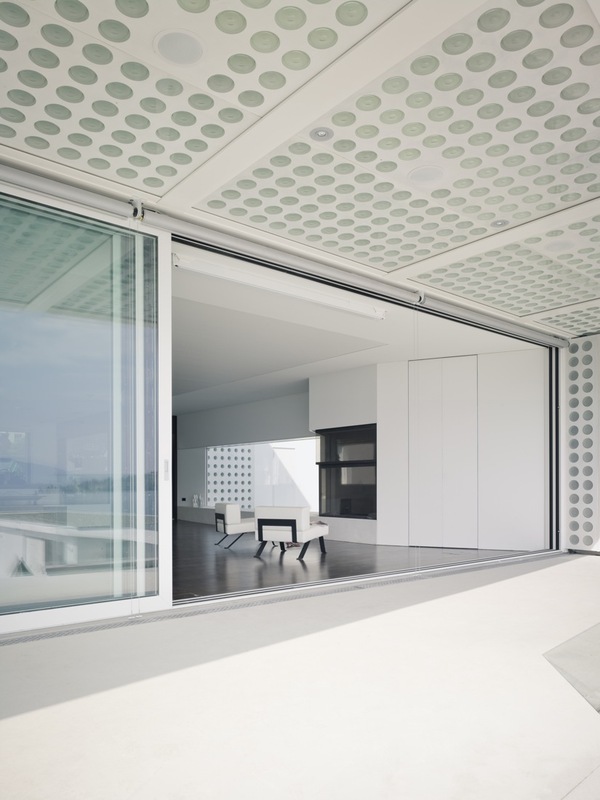 Standing on the lake the O House beautiful views opening tрanks to its dotted design. 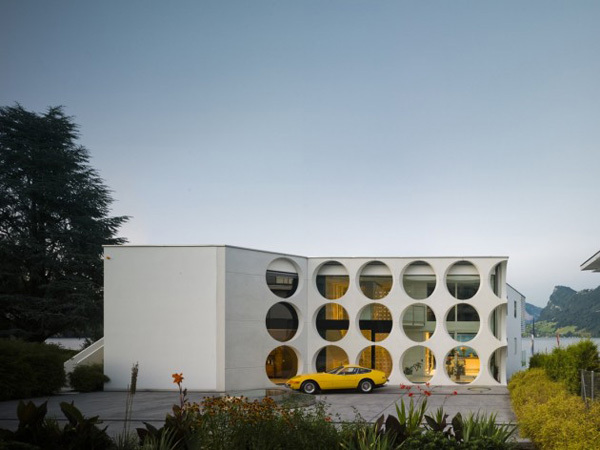 The house boasts a fitness area and 25-meter swimming pool half covered in white terrazzo plate. 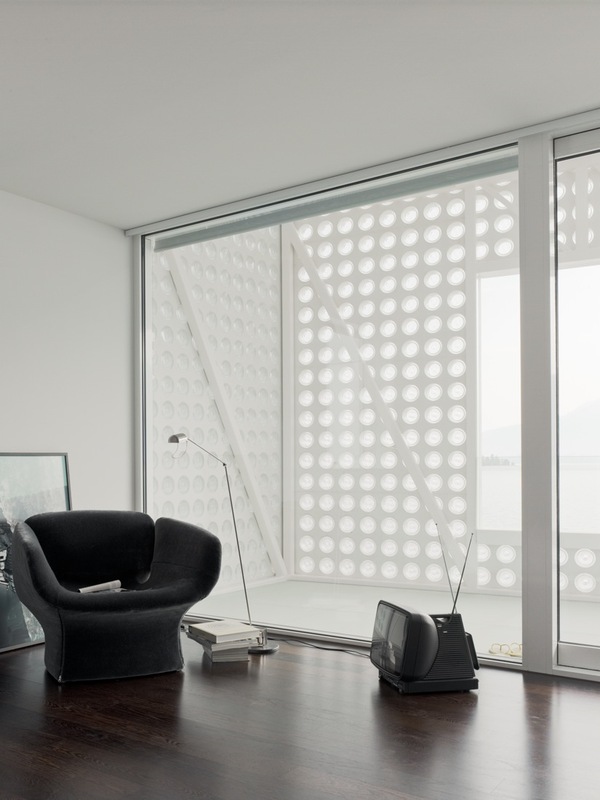 Modern O House is designed in white on the outside as well as on the inside where it is also decorated with dotted panels to echo the exterior. 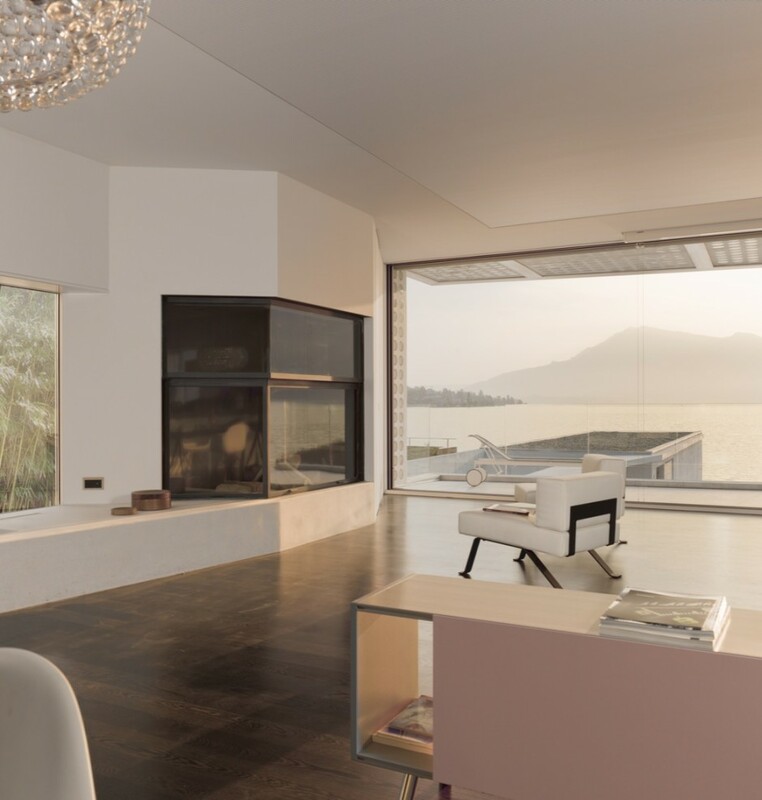 Glass walls and doors let open beautiful mountain and lake views as well as letting in lots of natural lighting. The basement boasts a fitness area and a 25 meter pool. 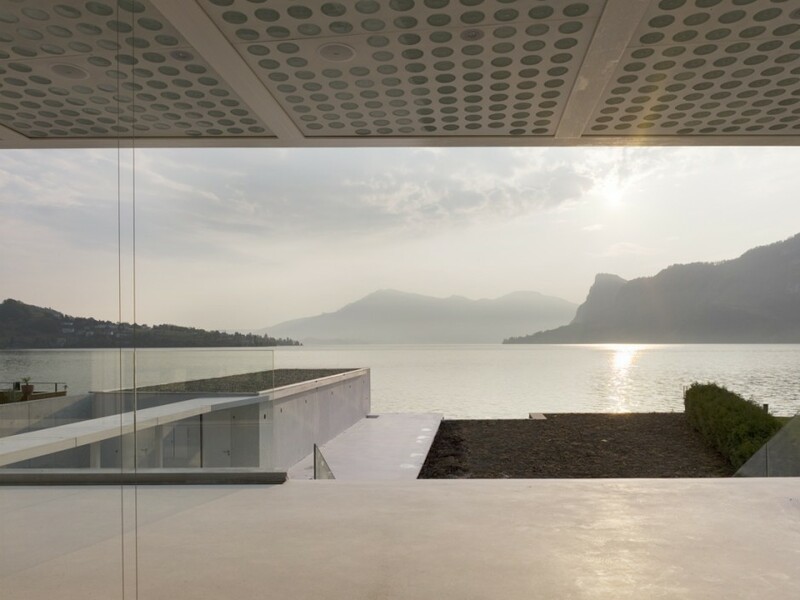 The terrazzo plate that holds the swimming pool also extends to the boathouse in the lake’s greenery.The house interior design is sleek, minimalistic even. 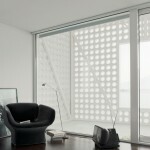 All the rooms have the dotted panels featured in walls or ceilings as well as the bedroom balcony.